Born in London, the second son of Sir George Gilbert Scott, and uncle of Sir Giles Gilbert Scott (1880-1960), he trained with his brother, George jnr, in his father's office from 1860. He assumed complete control of the business after his brother's suicide in 1897, and followed closely in his fathers 'Gothic' footsteps, becoming noted for his many churches throughout England. His work includes St John's RC Cathedral, Norwich (1884) and All Saints, Newborough, Staffordshire (1901). 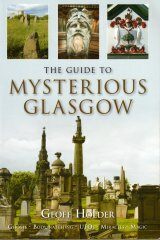 In Glasgow, he worked for Glasgow University, completing his fathers plans for the Randolph and Bute Halls (1882). He was also responsible for adding the fretwork spire to the University's Ventilator Tower (1887-91), after his father's original plans for a wooden spire and clock were abandoned as a fire risk. J O Scott's design for completing the tower also included a clock, its four, circular faces placed above the spandrels of the paired, upper window's. This scheme was also abandoned. In 1893, he completed another of his father's Glasgow projects, adding the spire and sculpture to St Mary's Episcopal Church (now Cathedral) Great Western Road. As well as this, he designed the University's memorials to Lord Sandford and Professor Leitch (1896), and collaborated with J J Burnet on the University's Engineering Building (1902-3).